1 Bedroom Flat For Sale in Chesham, Buckinghamshire for Asking Price £265,000. Saxby House is an exclusive development of eight apartments arranged over two floors featuring a modern specification of fixtures and fittings, while its external design complements the existing character of the area. Careful planning and attention to detail has resulted in light and spacious apartments with a contemporary flair. They feature modern gloss fitted kitchens with a full range of integrated appliances, the tiled bathrooms and en suites feature contemporary Vitra sanitaryware complete with Vado taps. 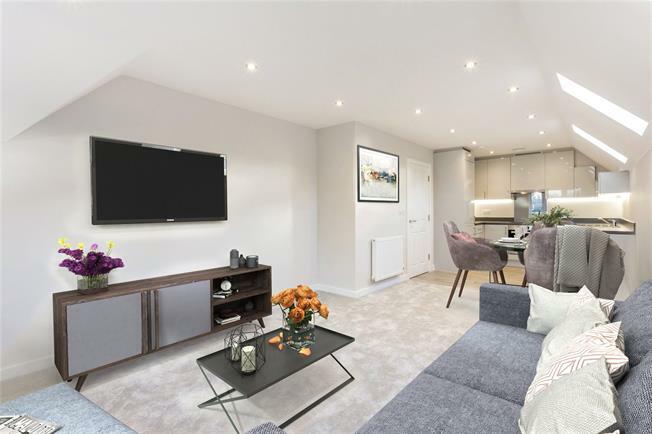 Chesham is at the heart of the Chilterns, residents will benefit from excellent transport links via the M1, M25 and M40 motorways, all of which are within a few miles drive making the development easily accessible by road. Chesham station, just over a mile from Saxby House, provides direct Metropolitan line services to the West End and the City, whilst Chiltern Railways services into London Marylebone are available at Chalfont & Latimer station. The town of Chesham, located at the western end of the Metropolitan line is surrounded by the beautiful Chilterns countryside, an Area of Outstanding Natural Beauty. The largest town in the Chiltern District, it lies in a picturesque valley some 28 miles north-west of London, a combination of market town, industrial centre, commuter dormitory, bustling community ... and a pleasant and desirable place to live. Chesham has a pedestrianised High Street featuring numerous specialist individual shops, alongside national retailers including Waitrose and Sainsbury’s. There is also a twice-weekly general market and a monthly local produce market. Renowned for its community spirit, there are many recreational and community groups catering to a diverse and active population. The town offers an excellent range of leisure facilities with The Elgiva Theatre providing a wide range of entertainment, Lowndes Park and the open-air heated swimming pool at the Moor Gym & Swim, being just some of the many public amenities available.